CooksRecipes has quality, kitchen-tested recipes for nut-laden and peanut butter muffins you can count on for successful deliciousness. 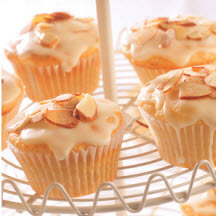 These easy muffins have a wonderful combination or orange and almond flavors. They are great for breakfast or brunch, and make a perfect snack or a light dessert, too. This recipe puts a spin on the classic combination of peanut butter and bananas. Topped with chopped peanuts, these muffins make a wonderful treat! 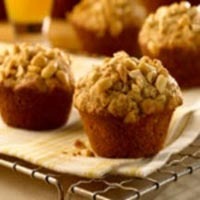 Great tasting oat muffins made with brown sugar, cream cheese and pecans..